Even before I got into barbering, I was a fan of Schorem Haarsnijder en Barbier. When looking for photos of classically cut hairstyles you’ll know when you’ve come across one of their signature cuts. Their attention to detail is second to none. So when I stepped into the world of barbering, I’ve done my best to uphold their standards – not only in terms of haircutting, but also the principles of being a barber. While I haven’t had the luxury of flying out to Rotterdam to experience thee experience, and be under the tutelage of these world class barbers, this is the next best thing. I’ve already watched the entire DVD once and I’ve already learned something new. With barbering, learning something new is something you can’t not do! I’m definitely glad to have something to help give me a better idea as to how they perform haircuts the traditional way. 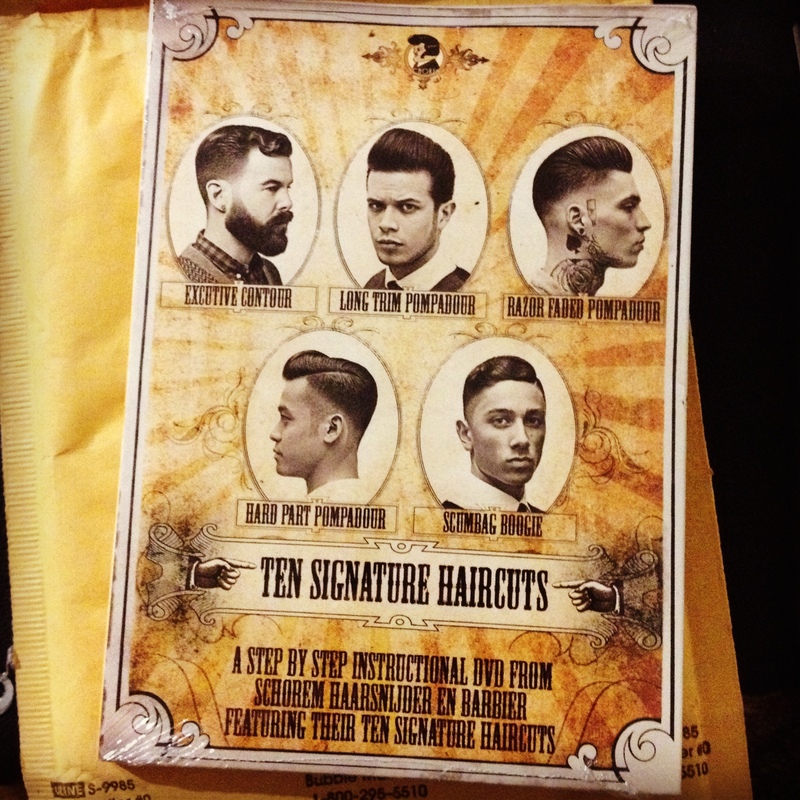 If you’re a barber or just a fan of Schorem Haarsnijder en Barbier, this DVD is a must have! Big thanks to the good folks at Schorem for taking the time to produce this DVD!